Rodrigo Bentancur is an Uruguayan international and currently playing for the Argentine club Boca Juniors since long. Now, according to the news, he would probably move to the Italian side Juventus in next season and also the reports claim that the agreement is about to a final stage. Juventus secured his service in a year ago in exchange for almost €9.4 million which is also a part of the deal of Carlos Tevez moving to the Boca Juniors. However, the agreement between the Uruguayan and the Argentine club will expire in next April, 2017 and later he would probably joined with the Old Lady. Beppe Marotta who is the current general manager of the Old Lady has stated that they are in too close to the deal and they got the opportunity by selling their one of the key weapon Tevez and so, they will use the part of their agreement properly. Though, the transfer will consider for 2017/18 season but they are already planning for him. Besides, the Killer Lady has spent huge amount to pick some players this summer transfer window and as a result they are able to collect Gonzalo Higuain from Napoli in order to give almost €90 million. Besides, they also bought Marko Pjaca and Miralem Pjanic who are costed a lot but they recouped somewhat by selling Paul Pogba to the Manchester United for a record amount £89.3 million. So, they did not try to pick another more player though there is still have chance and now waiting to bring one of the most amazing Uruguayan playmaker who yet not get chance to perform with the national team. According to the news, the Juve is very hopeful that this Uruguayan teenager would be their first signing in upcoming season though the next summer transfer window will not open for another ten months. 19 years old Bentancur is currently one of the best playmaker and would be able to perform better with the Turin if he will receive proper training. Besides him, there are also other players with the permanent buying option but the Old Lady gives him the top priority because they hope they Bentancur would be their key playmaker in near future. 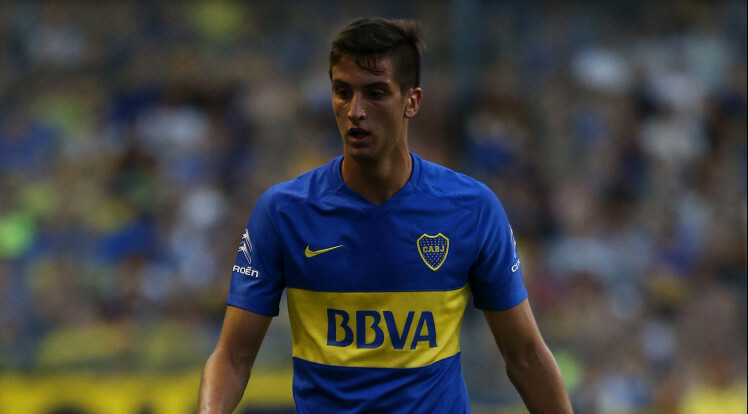 Rodrigo Bentancur started his youth and professional career with Boca Juniors who made his first professional debut in 12th April, 2015 against Nueva Chicago. Later in 13th July, he was included with three other players in the part of Carlos Tevez deal and according to the deal, Juve will take their first youngster in next 20th April, 2017. And in that case, there first choice is Rodrigo Bentancur.